EDA acquisitions are very tricky to manage in most cases. This is because most acquisitions are acquiring two things: a business and a technology. In the long run the technology is usually the most important aspect of the acquisition but the business is important for two separate reasons. Firstly, the revenue associated with the standalone business, ramped up by some factor to account for the greater reach of the acquiring company’s sales channel, is the way that the purchase price is usually justified. It is too hard to value technology except as a business. That’s why the venture capital euphemism for selling a company for cents on the dollar is “technology sale.” But more importantly, the business is the validation of the technology. Nobody can tell whether a startup’s technology is any good except by looking to see if anyone is buying it. However, once the acquisition is done there is an immediate conflict. There is a running business to be kept going. After all that was the justification for the purchase price. It took the whole company to do that before acquisition, so presumably it will take the whole company afterwards. In the short term, the differentiation of the technology rests on its continuing to sell well. But the real reason for the acquisition is often to acquire the base technology and incorporate it into the rest of the product line. The only people who know the technology well enough to do this are the acquired company’s engineering organization. Suddenly they are double booked, developing the product to the plans that underpinned the forward bookings forecast, and working with the acquiring company’s engineers to do the integration. "Adding CadMOS signal integrity analysis engines to established Cadence analog and digital design solutions provides us with the best correct-by-design timing and signal integrity closure capabilities in the industry," said Paul McLellan, corporate vice-president of custom integrated circuit (IC) products at Cadence. 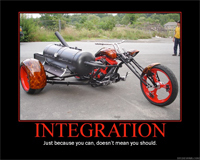 Except, of course, to realize that vision required the Cadmos engineering team to work full-time on integration. Meanwhile, there is a business going full blast selling the SeismIC standalone. I believe there was also an earnout (part of the acquisition price depends on how much was sold) based on the standalone business only. A difficult balancing act for the engineering managers and myself. We had similar issues when Cadence acquired Ambit. We needed to integrate the Ambit timing engine (and later the underlying synthesis technology itself) into Cadence’s whole digital product line at the same time as we were trying to give Synopsys a run for their money in the standalone synthesis business. Both of those goals were really important strategically but there was only one set of engineers. Balancing these two conflicting requirements is probably the hardest aspect to manage of a typical EDA acquisition. It is really important, not just for financial reasons, to maintain the leadership position of the technology in the marketplace. At the same time, integrate that leadership technology so that it is available under-the-hood in other parts of the product line which, in the end, is probably how it will mostly get into customer’s hands. Preserve the differentiation while doing the integration.